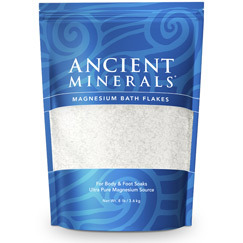 Ultra-pure magnesium chloride from the Zechstein seabed. 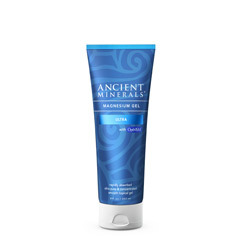 Ancient Minerals' topical formulas have the highest concentration of magnesium chloride available. 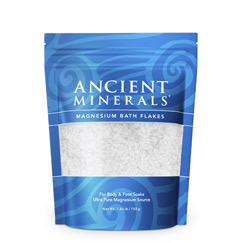 Adding Ancient Minerals Magnesium Oil to a foot soak provides the same benefits as a full tub bath but is less time consuming. A fast-absorbing, coconut-based lotion with magnesium chloride, and melatonin to promote restfulness. Purified water, Genuine Zechstein magnesium chloride, methylsulfonylmethane (MSM), organic vegetable glycerin, organic simmondsia chinensis (jojoba) seed oil, squalane (olive), cetearyl olivate, sorbitan olivate, organic cocos nucifera (coconut) oil, glyceryl stearate, cetyl alcohol, organic butyrospermum parkii (shea butter), xanthan gum, melatonin, citrus sinensis (sweet orange) oil, caprylhydroxamic acid, caprylyl glycol, sodium hyaluronate. 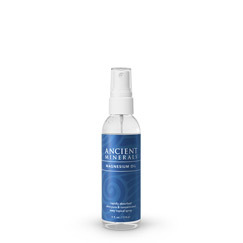 Dispense 1ml (1 pump) into a cupped hand and rub into skin before bedtime. Reapply as needed. Individuals with sensitive skin should begin with 0.5ml and gradually increase to 1ml. 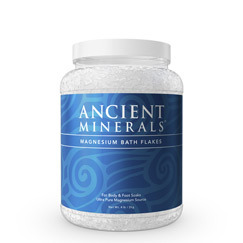 Combining magnesium chloride with aloe vera and MSM in a soothing gel. 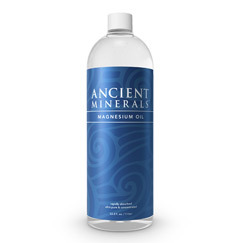 Genuine Zechstein magnesium chloridide, hydroxypropyl starch phosphate, certified organic ACTIValoe, OptiMSM, and xanthan gum.